In today's world, a healthy climate in your home is more important than ever before, for you and your family's well being. The Pruitt's are experts at putting together suggestions that will make your home a better place to live. 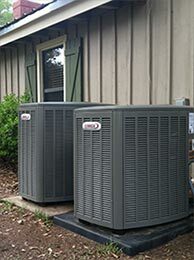 Combine this expertise with the amazing improvements that have occurred in air conditioning and air purifiers over the last five years, and you have an amazing opportunity that's just a phone call away. Visit our testimonial page and see for yourself. A too hot or too cold business is not pleasant and does not promote profit or efficiency. 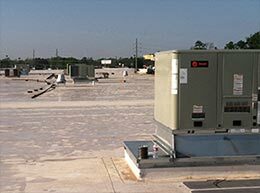 Pruitt's Air Conditioning & Heating installs and maintains many of the rooftop and conventional AC systems in the malls, shopping centers, and office buildings in our area. We have the equipment, expertise, and staff to solve your problems immediately. Give us a call. You will be glad you did.